After the Lenovo Z5 controversy, it is hard to believe any teaser of rumor related to any upcoming Lenovo smartphone. Lenovo is preparing the launch of an upcoming smartphone, the main USP of which is going to be a Quad Camera setup. 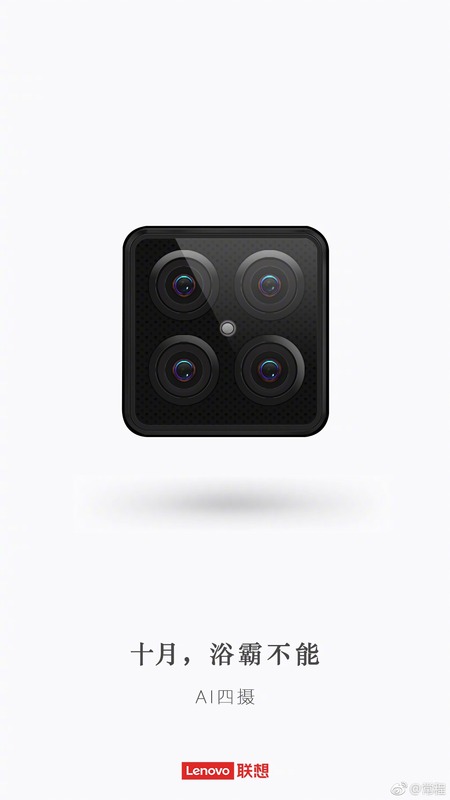 By Quad Camera, we didn’t mean two cameras on the rear and two on the front. This upcoming device from Lenovo is coming with four cameras on the rear. The Vice President of Lenovo, Chang Cheng, teased an upcoming Lenovo smartphone by posting the image of its quad camera setup. He posted this teaser with the Lenovo S5 Pro, which is expected to launch by the end of this month. But, since the Lenovo S5 was a budget smartphone, we cannot expect its ‘Pro’ variant to feature a quad camera setup. As per a lot of sources, it is the Lenovo Z5 Pro. The vice president of the company even showed the device during a press conference in Beijing. It has a bezel-less design (with no notch) and a slider for the front camera, just like the Oppo Find X. We don’t know the exact launch date of the phone but the Lenovo Z5 Pro should launch before the end of this month.